Why if you don’t have a stress management plan you deserve what you get. Ask any savvy business owner what their key performance indicators are they will usually be able to tell you their profit and loss, cash flow, balance sheet stats, sales targets etc . I have yet to meet one client who was able to tell me what stress was costing their business. Running a business is similar to flying an aircraft, you need to know where you are, where your heading and you have flight indicators that tell you how and when to make course adjustments. A pilot is always making changes based upon external conditions and how the aircraft is performing. In business we do the same, yet where is the indicator that tells you if you are losing fuel and if your engines (your people) are under-performing or under strain and about to fail? 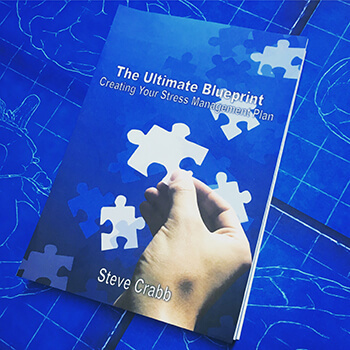 Where is the stress management plan that lets you know how your people are functioning and how to keep them performing at optimal performance? If a business owner relies upon sick leave records to determine if their people are under stress they are missing 3 additional measures. Absenteeism – 45 % of sick leave is attributable to work related stress the average cost per employee is £1350. Presenteesim – is the cost when an employee is at work before they take sick leave, this includes the cost of accidents and poor performance. The cost of presenteeism is estimated to be between 2 x and 10 x the cost of absenteeism. Loss of turnover & profit – when someone is off sick you still have overhead costs to cover and there is the loss of profit, which wasn’t generated. Money is going out and money is not coming in. Catastrophic costs – the costs of replacing a burnt out member of staff, recruiting and training replacements and litigation costs if found to be the cause of undue stress. Ignoring stress is a blind spot for many businesses who think it’s not a problem, many have found to their costs that failing to provide a safe place of work is no excuse. If you don’t have a stress management plan for addressing workplace stress then you are planning to fail.